Home » Other » Electric Griddle vs. Gas Griddle: What’s the Difference? Electric Griddle vs. Gas Griddle: What’s the Difference? People who love to cook for a group will love their griddle. Especially great for breakfasts, the griddle is a staple for restaurants throughout the world. So why do restaurants love griddles? And what is the difference between the electric griddle and the gas griddle? What Makes it a Griddle? Griddles have burners (a head source) that are located beneath the griddle plate or embedded in the griddle plate. Griddles typically have a decent sized grilling space that is heated up. Most griddles have more than one temperature control – such as one to the right and left and one in the middle. With these controls, the user is able to cook multiple servings of food – imagine bacon, eggs, and potatoes all on one flat grill. Breakfast is an especially good use for the griddle. If not breakfast, some hamburgers and hot dogs will work just as well. One thing to consider when buying a griddle is the space. Will you be able to fit enough servings on the griddle surface? You also want to make sure the controls are as accurate as possible. If you want to cook your eggs a little runny but your sausage all the way through, it’s important to have more than one griddle heat source. Multiple griddle heat controls are also a good way to make sure that everything heats evenly. What about built-in countertop griddles? Electric will cost you less money if you plan on installing one of these. Homeowners and condo owners will have more freedom in choosing their griddle options. Gas griddles have burners (a head source) that are located beneath the griddle plate. When the burners heat up, they quickly warm the cooking surfaces. Gas griddles typically heat up faster and switch to lower temperatures more quickly than electric burners. Gas griddles may be less accurate when it comes to heating evenly, especially if there is a breeze in the room where you are cooking. If you are looking to buy a griddle, check out the temperature controls. If you want to be able to use your griddle to sear, gas is probably the best bet. If you decide to install a countertop gas griddle, you will need a professional (probably somebody from the gas company) to help hook it up. So when you’re budgeting, make sure that you include installation costs. Gas griddles built for the home aren’t portable, and will need to be a regular fixture for safety’s sake. Some people will buy large models of gas griddles for their patio or deck. In these cases, the gas that will be used to fuel the griddle will probably be propane. Keep in mind that for regular use of an outdoor, gas griddle, you’ll need to do regular maintenance of the grill. Check propane tanks often for leaks and store as far from your structure as allowed. A countertop gas griddle will take up a decent amount kitchen space – similar to a stove. You will need to hire a contractor to properly install and connect the gas line. If you are a restaurant and want to buy a commercial gas griddle, just remember that this appliance will probably be in use most of the workday. While the gas griddle gets hot faster and adjusts temperatures more quickly, there are a few other things to consider. A commercial gas grill will need an exhaust fan above it when there is heavy use, and this is something you will need to choose and install with the help with contractors. Electric griddles usually have a heating element that is embedded into the griddle plate. They heat the surface similar to a gas griddle, but they do so more slowly and often more easily. An electric griddle will allow you to be more precise with your temperature changes. An electric griddle is also a better idea for people who live in apartments. Your home may not be equipped for grilling, but you can use an electric griddle to still cook hamburgers, hot dogs, and even things like pancakes. For an electric griddle, you may want to choose a “drop in” griddle, which is stored away when in use. This is very convenient if you don’t want to sacrifice counter space while you are working. Another pro for electric griddles is that they typically heat more evenly because of the heat source. Gas griddles can have flames that jump around a bit when there’s wind or a lot of movement and activity in their vicinity. 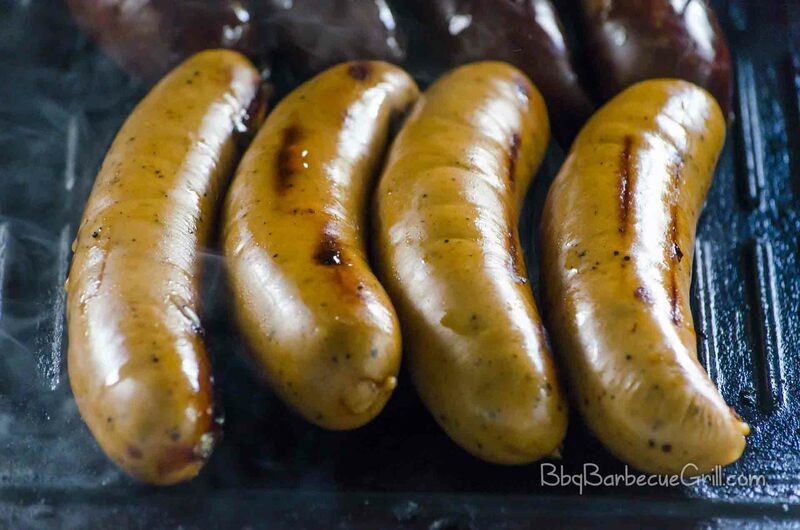 The biggest pro for electric griddles is that they are more energy efficient than a gas grill. That means if you use your griddle daily, you’ll save money with an electric griddle but pay more for a gas one. 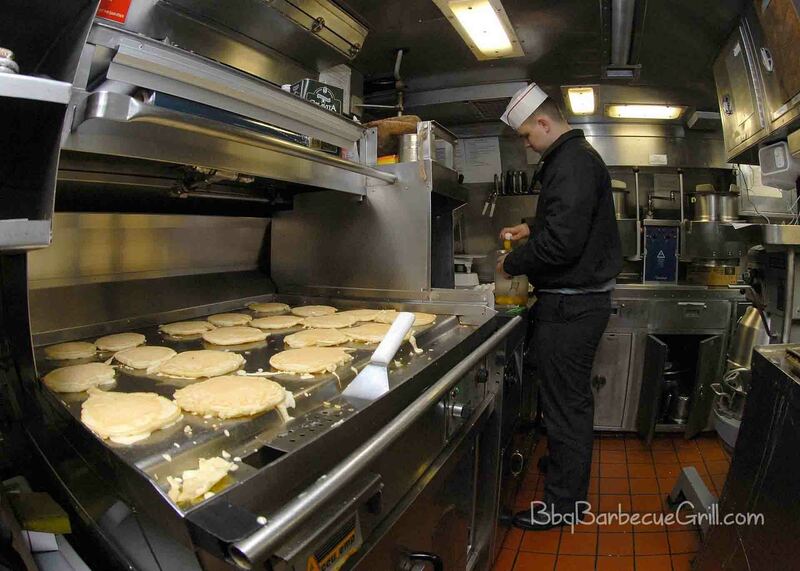 Commercial electric griddles offer restaurant owners substantial savings over the costs of a gas griddle. If you plan on using a griddle all day long, this is an important consideration. Just remember your commercial electric grills require large exhaust fans that must be professionally cleaned regularly. Choosing a griddle to meet your needs will take a lot of consideration. The most convenient grill will be an electric grill that you can store away, but if you want a hot temperature you may want to choose a gas grill. Either way, you’ll have a great appliance and be able to cook whole meals on it for a group of people. This is the joy of the griddle!